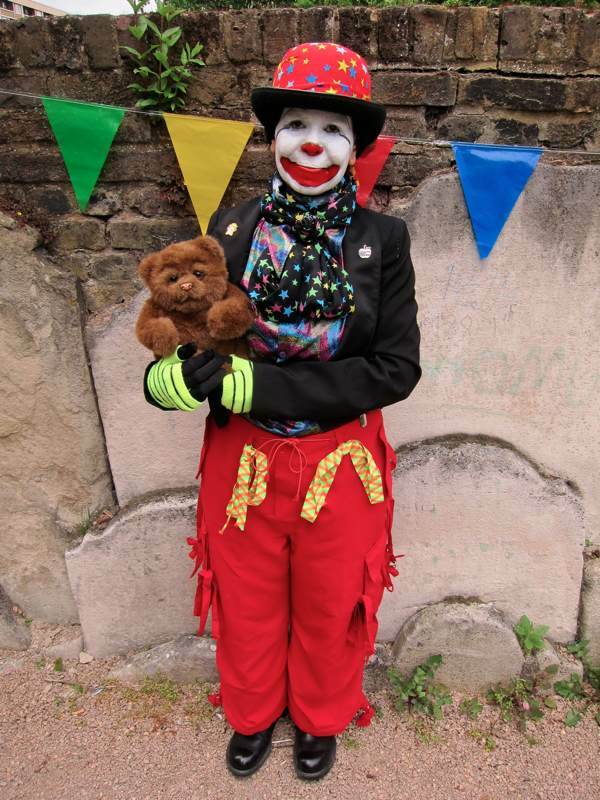 Next week will see the one hundred and eightieth anniversary of the death of the world’s most famous clown, Joseph Grimaldi, on May 31st and a small group of devotees with painted faces will gather – as they do each year on the anniversary – at the former graveyard of St James’ Pentonville Rd to celebrate his memory, in the place where the bones of the great man lie interred. The church was deconsecrated long ago and the churchyard cleared, reconstituted now as Joseph Grimaldi Park with his tombstone given pride of place in a location twenty feet from where he is actually buried. Nearby, the traffic roars up and down the Pentonville Rd with a ferocity unknown in Grimaldi’s day, yet the remains of thirteen hundred souls still lie here peacefully and, even though Grimaldi was decapitated before burial at his own request out of a morbid fear of being buried alive, his spirit becomes manifest each year when the clowns arrive to pay tribute. On the occluded summer’s day I visited, the sun broke through as the ‘Joeys’ came stumbling in one by one, wearing their big boots, enacting their crazy poetry of gurning, and bringing delight with old gags and dumb tricks. Resplendent in a garish suit of Buchanan tartan, Mattie, the curator of the clown museum and local resident who has lived forty years years in Clerkenwell, gave a plain speech of remembrance before laying flowers for Grimaldi. At a distance, Puzzle the silent clown, wiped tears from his eyes as he stood under an umbrella in the sunlight while water pumped up through the handle cascaded down over the shade, making a suitable gesture to honour the man who developed the notion of the modern clown that is universally recognised today. “It’s been low-key for donkeys’ years and we thought it would be nice to pay a bit more attention to it,” explained Bluebottle, rubbing his hands in delighted satisfaction at the turnout. 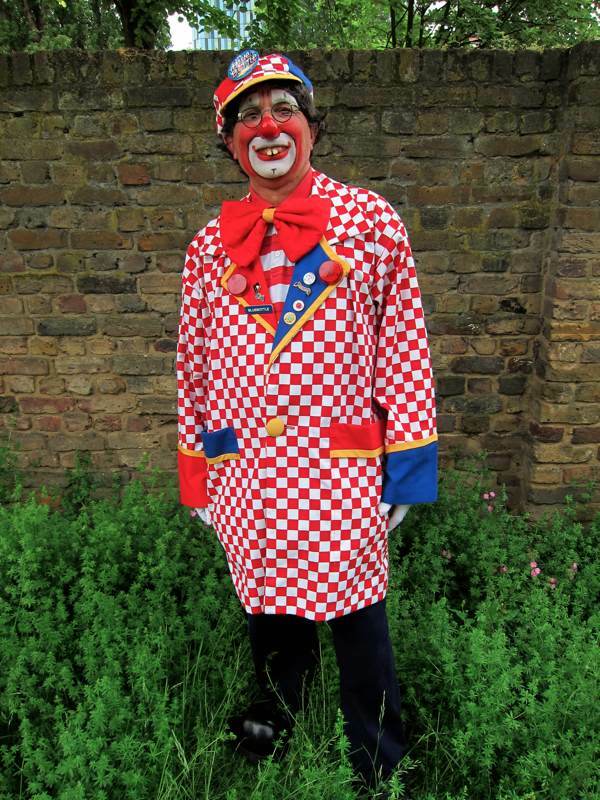 A clown of twenty years experience, he was speaking to me as official secretary of Clowns International, the world’s largest clown organisation. By contrast, Fiasco the clown has only been doing it for six months, eagerly confiding that her sole ambition is “to bring people happiness and to entertain handicapped children.” Meanwhile, Zaz the clown who has been clowning since he was eleven and is now thirty-three, revealed that he had performed for Madonna’s children and been flown to India just to entertain at a party. 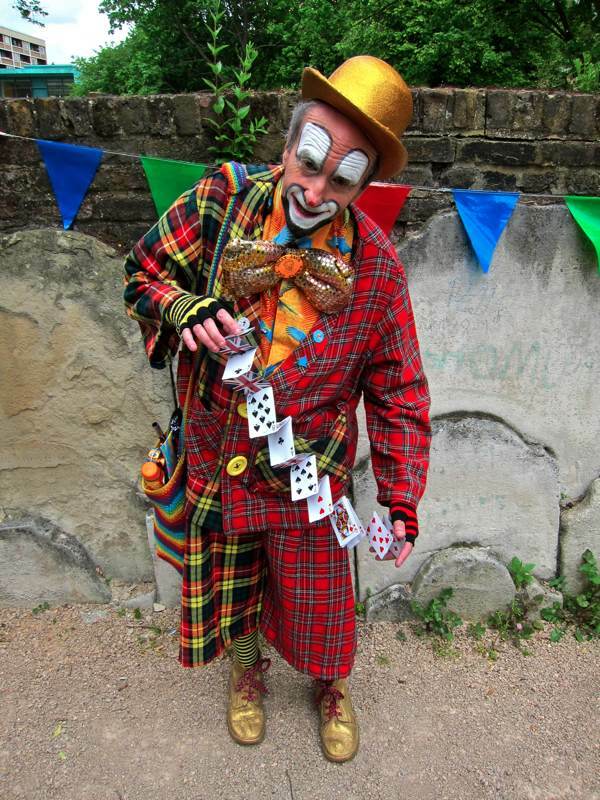 And Jolly Jack confessed that he began clowning at the Queen’s Silver Jubilee in 1977 and never looked back. They were a quorum of fools, and we delighted at their high jinks and idiocy. 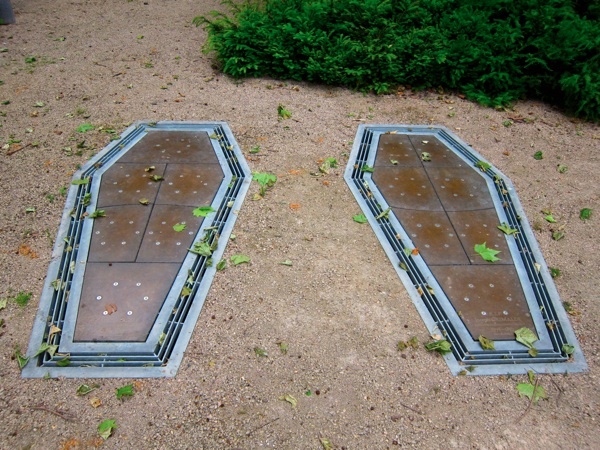 At the entrance to Joseph Grimaldi Park, two metal coffin lids set into the ground invite you to dance upon them, triggering the sound of bells. They propose the triumph of clowning over death and offer a metaphor for the human condition – that we are all but dancing upon our graves. Clowning and mortality are inextricable in this way. 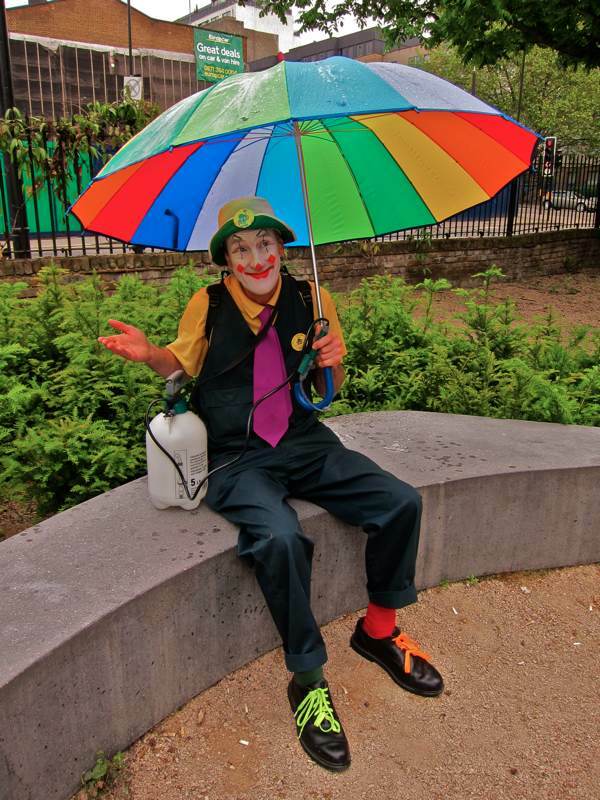 We need clowns to humble us by reminding us of our essential foolishness, to encourage us to seek joy where it flies, and to confront us with our flawed humanity, lest we should make the mistake of taking ourselves too seriously. 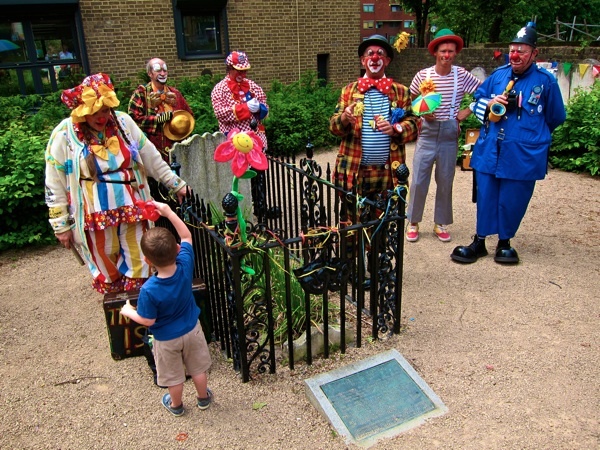 Fans young and old gather to celebrate Joey the clown. 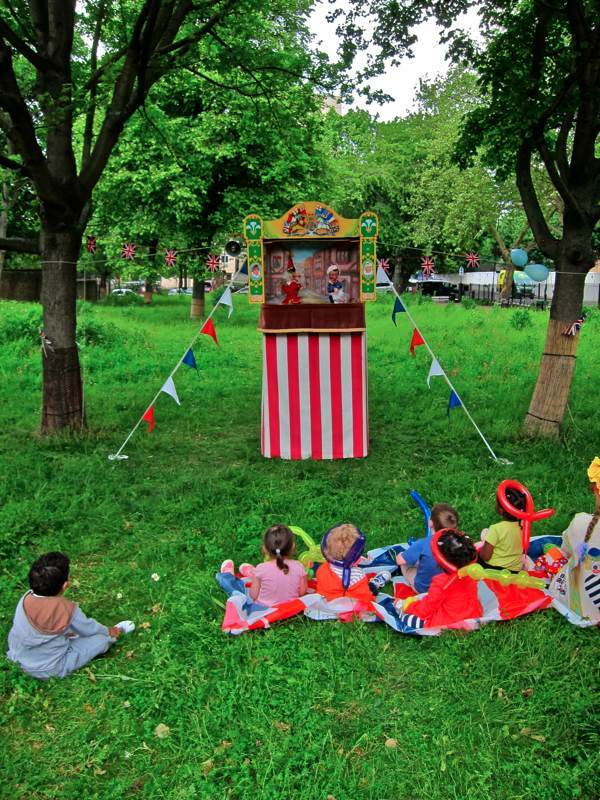 Professor Geoffrey Felix’s Punch & Judy Show – Mr Punch is 355 years old this year. Musical coffins commemorating Joseph Grimaldi and Charles Dibdin invite you to dance upon them. A sombre moment of remembrance at Grimaldi’s grave. Lots of colour on colourful people that’s the clown. they are all part of show business whether in the big top or on the streets and park venues of London. They all have their individual acts with outrageously large trousers, special bits of kit, above all they do like to fall-over in the circus ring. Children scream with joy at their antics by these gifted funny-people. Clowns do provide in between warm up’s before for the main acts. 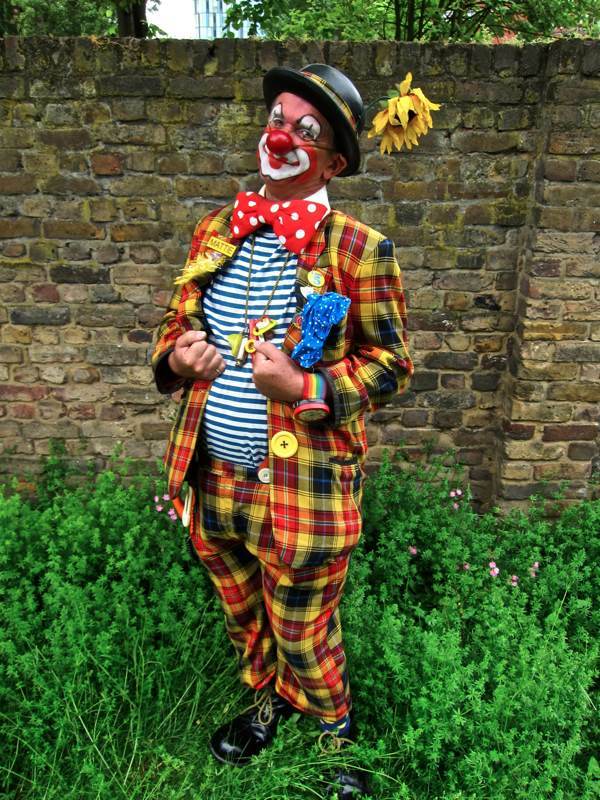 The community of clowns and their friends do valuable work for charity, long may the funny-people tradition continue. They are my sort of people. 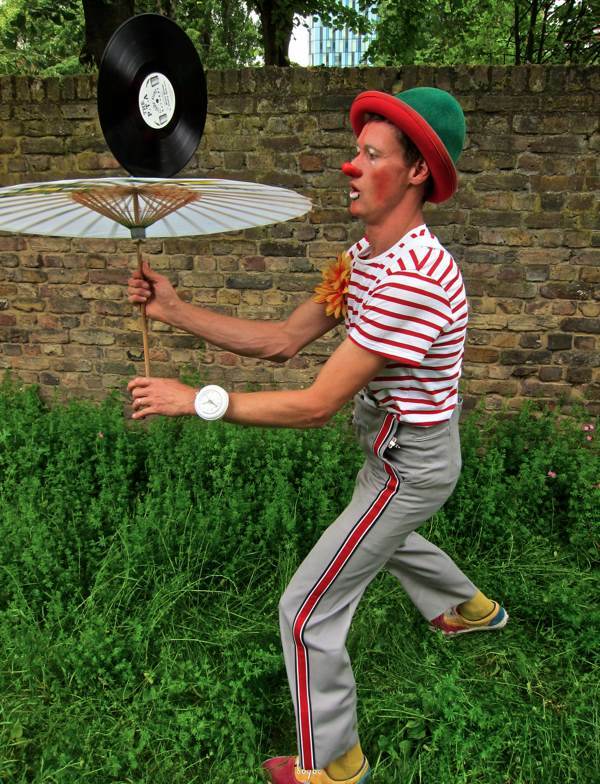 Poet John – PS it can take them an hour or so to prepare for a show with costume and make up and having the mind set of a clown, they are different then-clowns lets go. 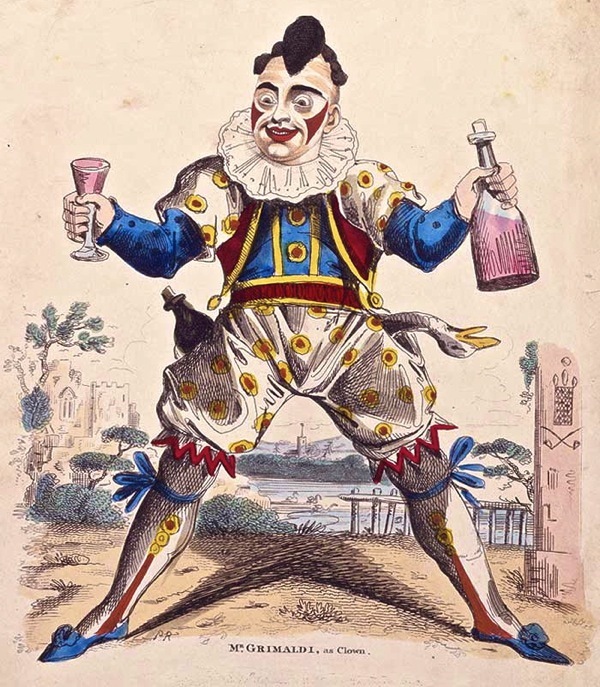 Poor old Grimaldi, abused by his own son, suffered ill health and was destitute when he died after a night of hefty drinking, could barely walk having to sit down on the stage for his last performances, but still he had the will to perform, treating his audience to nights of fun and laughter. I wonder if it is through him that we have the saying “Laugh or we will cry”. 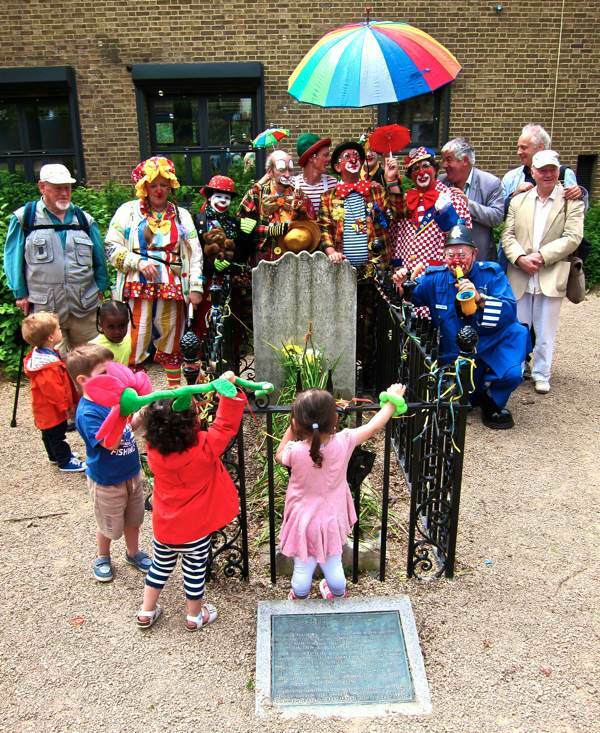 Nice to know Joseph Grimaldi is still appreciated to this day with clowns of all ages performing at his grave side. From my childhood I was not one for appreciating clowns, unfortunately their faces and attire terrified me when I saw them at the circus, they made me recede rather than open up with laughter, however; recently I went to the circus where the clowns were in full swing and for the first time in my life they actually made me laugh. I ‘nose tis’ Grimaldi did not wear the red round nose so familiar with modern clowns. It is a shame we have no film or sound recording of his performances as I would like to know just how different his stage act was to the clowns we have today.